The release of DARK WINTER’S NIGHT is less than a week away! I had so much fun writing this Vinlanders’ Saga novella (I wish all of my books came to me this easily) and I LOVE the cover that Jaycee DeLorenzo created for it. If you’ve been wanting to see more of Nuvinland’s elves you’ll enjoy this story. And if you haven’t yet read any of the other Vinlanders’ Saga books, no problem! This novella stands on its own. The folk of Nuvinland fear the mountain forests. They are the abode of Elves and not to be trespassed upon. Katrynna doesn’t always follow that rule—and her visits to the woods have not gone unnoticed. 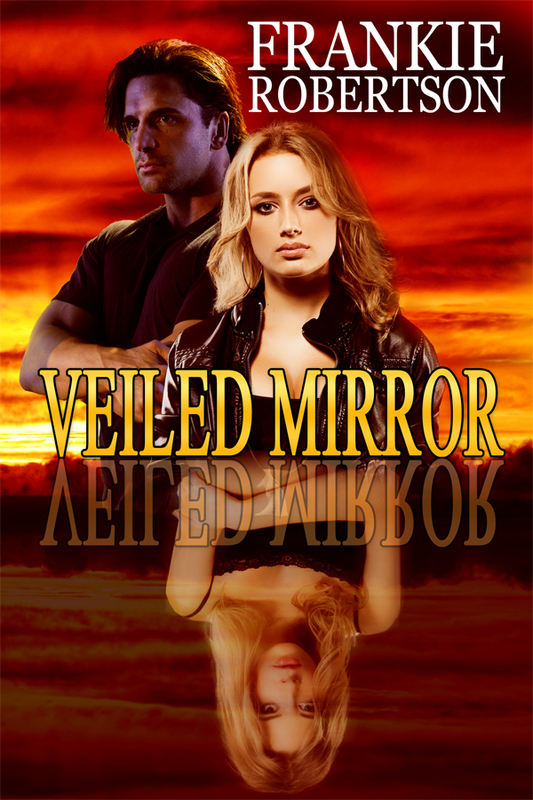 When a mysterious stranger asks for Katrynna’s hand on behalf of his lord, she has her doubts. She’s never heard of the man, and why would a wealthy lord ask for her, a farmer’s daughter? But he offers a significant bride price and her sisters need dowries. For their sakes she accepts and marries by proxy. The victim of a devastating curse, Lord Taavin’s fate rests in the hands of the mortal woman he saw dancing in the forest. 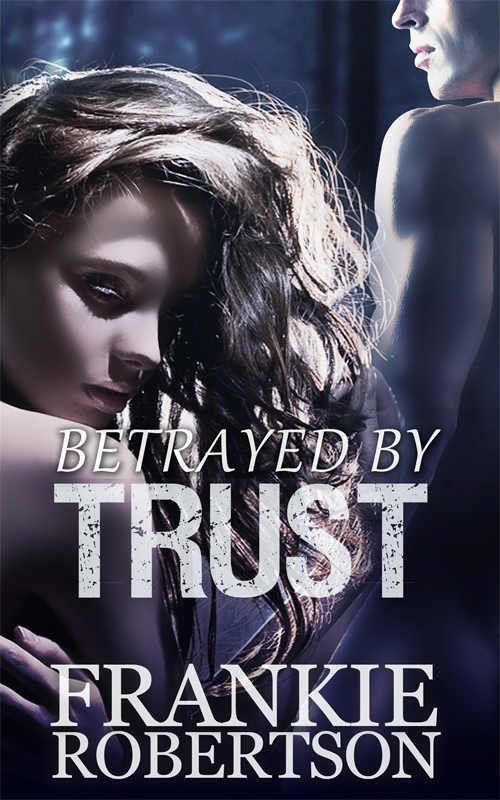 He has his doubts that a mere human can be trusted, but somehow he must overcome her fear of being Fey-marked and seduce her into falling in love—without using his magic. 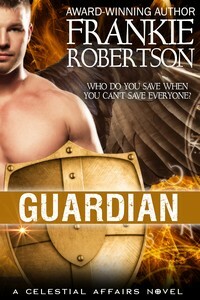 His future—and his heart—depend on it. Happy reading! And if you haven’t yet signed up for my newsletter, do it now and get two free short stories. You may have heard that the General Data Protection Regulations (GDPR) goes into effect in the EU on May 25th. You may wonder if this affects you in any way. I hope, as Seth Godin does, that this will mean that you can be more confident that you know what you’re signing up for when you share your email with a company online, and where that data will wind up. This is one reason I’ve changed the wording slightly on my “Free Stories” page. I want it to be absolutely clear when visitors sign up for my newsletter that getting free stories is just one of the benefits. I want you to be thrilled (or at least happy) to receive an email from me, so if you don’t want me to send you information about sales and new books please don’t send me your email. If you’ve already subscribed to my newsletter and you want me to stop sending them, please unsubscribe. I always put the unsubscribe information prominently at the top of every newsletter. Also, I do my best to prevent any unauthorized access to or use of your data and I’ll never share or sell your email address. All that being said, if you haven’t signed up for my newsletter yet, please do so. Two of the many benefits are access to two free short stories and early bird news about new releases. Please also consider following me on Amazon and Bookbub. I hope that those of you in Arizona managed to attend The Tucson Festival of Books last weekend. I had so much fun. I learned some stuff unrelated to writing, connected with many acquaintances, and rocked to a free concert by the Rockbottom Remainders (which includes musical authors like Amy Tan and Scott Turow). I’ve finished the first draft of a new Vinlanders’ Saga novella, DARK WINTER’S NIGHT. It still needs revision and editing, but you’ll see it this summer, probably. Then I’ll be back to work on APOSTATE, book three in the Celestial Affairs series. That’s the plan anyway. My plans tend to be rather fluid. Three months ago, DWN wasn’t on my radar. If you haven’t yet entered the Prizes for Readers raffle, what are you waiting for? You could win a $100 gift card. Prizes for Readers is running a raffle for a $100 Gift Card and I want you to have a chance to win. Go to https://prizesforreaders.com/ to sign up. While you’re there, make sure you check out the books by the other great authors participating and vote for best cover and best blurb. Whether you prefer romantic fantasy,shifter stories, urban fantasy, or all of the above, these authors have you covered. I asked in my last post how you decide what’s worth spending your very precious and limited time doing. It’s a very personal choice. Did it prompt you to make any changes to your plans? Did you make any resolutions? Like most people, I’ve never found “resolutions” to be very effective as a way to make a lasting change. So the last few years I’ve just made plans and set goals. It’s kind of the same, but with more of a road map on how to get where I want to go. Sometimes I fall short, but it gives me something to strive for. APOSTATE, Book Three in the Celestial Affairs series, is still in progress. I’m also working on a novella set in Alfheim, the world of the Vinlanders’ Saga. The working title is DARK WINTER’S NIGHT and it’s mostly about the Elves. 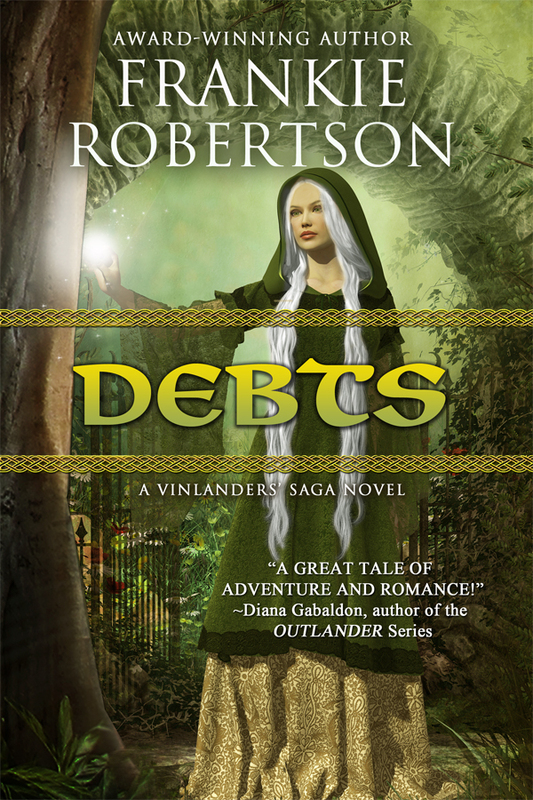 Speaking of the Vinlanders’ Saga, DANGEROUS TALENTS is FREE today. Many of you have already read it (Thank you!) but if you ever wanted to recommend it to a friend, today is a great day to do so. Actually, every day is a great day for you to recommend my books, but tomorrow DANGEROUS TALENTS goes back to its regular price. On this first day of the new year remember: life is short. I don’t say that to be a downer. What I mean is, be alive every moment and live intentionally as much as you can. A lot of what we do everyday is necessary maintenance. We have to work, do the laundry, etc. The rest of the time we get to choose what we do. Does that make you feel pressured to hurry up and accomplish or experience more? Or does it make you feel like you should relax and watch more Hallmark moves? Does it change your plans in any way at all? Since I live in the desert I don’t get to build a snowman very often. Doing it is always fun, though, and it’s a perfect example of living in the moment. By it’s very nature, it won’t last, but there’s no one who’s done it who’d argue it isn’t “worth” doing. Sandcastles are the same. And sidewalk paintings. Mandalas drawn with sand. Obviously, for a lot of people, permanence isn’t necessary to make something worth doing. At the end of my books I always say thank you to my readers for letting me entertain them for a few hours. Books have always been a refuge for me and if my readers set aside their concerns for a short time while slipping into the worlds I create, I’m honored. I know you have a ton of choices for how to spend your time. To make that escape into another world a little easier, I’m offering FORBIDDEN TALENTS (Book Two in the Vinlanders’ Saga) at a steeply discounted price ($0.99) through Monday. The main characters spend a lot of time slogging through the snow, so now seems only fitting. 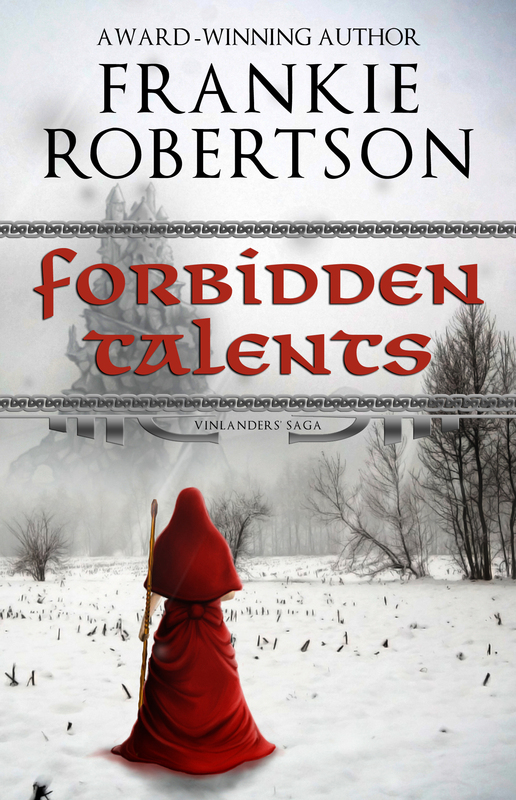 If you’ve already read FORBIDDEN TALENTS, thank you! I’d really appreciate it if you’d take a few minutes to leave a review. I love hearing what readers think. BTW, some of you have asked if there will be more books in the Vinlanders’ Saga. The answer is definitely yes! I’m writing the third book in the Celestial Affairs series, APOSTATE, right now, but when that’s done I want to tell Fender’s story. I really like Fender. He grew from a “walk-on” character into a really great guy. I plan to give him his own adventure in a part of Alfheim we haven’t explored yet. I hesitate to say when that book will be out–my predictions tend to be overly optimistic. Stay tuned and I’ll keep you informed. In the meantime, have a wonderful holiday surrounded by friends, family, and books! I have a lot to be thankful for: my fans, the opportunity and ability to share my stories, and most especially my family and friends. I hope all of you do, too. I’ve had a few times in my life that things looked rather bleak, but most of the time I can look around and find something to appreciate. I hope that today you can notice what’s right in your life and celebrate it. And I hope you can also brighten someone else’s life today–and every day–even if only with a smile. All the best, and happy reading! November is a busy month. Hot on the heels of Halloween I have ten birthdays to celebrate (including mine) and Thanksgiving. But perhaps best of all is TusCon, a three day indulgence in various forms of science-fiction, fantasy, and horror. Films, authors, art, dealers, anime, and gaming fill every moment from Friday afternoon through Sunday. BTW, to celebrate, I’m giving away NIGHT MOVES: a Short Story Sampler over the weekend (Nov. 10-12). If you come to the convention you can pick up a physical copy, or you can download it from Amazon. I thought this was worth sharing as a good example of writer-brain. I’ve had many a conversation with myself like this one.